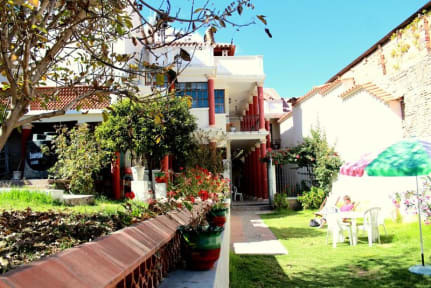 Probably the best hostel we have stayed in in South America - definitely in Bolivia. Clean (I have never seen a hostel kitchen kept so clean!) lovely staff, consistent hot water, and great facilities including a lovely giant garden to read or work. Stay for a night or a week or more - it’s amazing. Spent almost 2 weeks here in total, really can't fault it. 2 kitchens, amazing outdoor spaces and best of all met some really cool people. 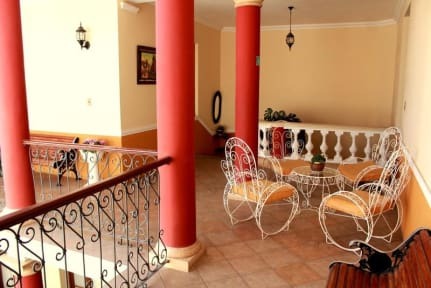 The only place to stay in Sucre. (I stayed in Celtic Cross for 1 night on arrival, nowhere near as nice and I had my earphones stolen). Loved our stay here, the hostel is so lovely with a pretty outside garden with chairs which is perfect for when it’s sunny. The atmosphere was good with lots of areas to socialise and the staff friendly. Beautiful hostel with a massive backyard and two kitchens. Just didn't feel very social. Everyone just stayed to their own and the hostel didn't help much beyond a map of restaurants to go to. Centrally located with friendly helpful staff. Nice garden/social areas. Kitchen needs more utensils etc; having to eat out of silver dog bowls is a bit strange. Beds were comfortable with warm bedding but my partner and I both checked out with a few bed bug bites :| Nice hot strong showers but the ceilings were covered in mold. I would stay here again! Really Nice place. Loved the garden! Could be cleaner, especially the kitchens where really dirty!